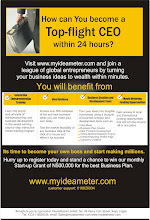 News, Articles, Product Reviews, Discussions and every about Innovation for better living. The system has stopped roughly 90 percent of incoming missiles, not counting the hundreds that it let through deliberately because it was clear they would land in unoccupied areas, according to a spokesman for the Israeli Ministry of Defense. Iron Dome has undoubtedly saved the lives of Israeli citizens. It has probably saved the lives of people in Gaza, as well, because without the shield in place there would have been an outcry from the Israeli public for a ground invasion of Gaza to root out the missile launchers. That would have caused many more deaths on both sides. The Iron Dome program, partially funded by the U.S. Department of Defense, is headed by Rafael Advanced Defense Systems, an Israeli government-owned company that is the general contractor and makes the Tamir interceptor missiles. The radar is from Elta Systems, a subsidiary of Israel Aerospace Industries. MPrest, the third partner, makes the command-and-control system and is half-owned by Rafael, while Barak owns a quarter of the company. Typical command-and-control software for military gear is highly customized and hard to modify. The key to MPrest’s success, Barak says, is that the command-and-control software is simple and modular, so customers can quickly adapt it without reprogramming. The Israeli army was able to recalibrate Iron Dome batteries almost immediately, without a software rewrite, when Hamas fighters began to fire longer-range missiles. Microsoft’s (MSFT) Windows and .NET architecture make up the base layer of the system. On top of that goes MPrest software that can “manage tens of thousands of objects, each changing several times per second,” the company says on its website. The “objects” are the building blocks of the software, consisting of either code or data or a mixture, which can communicate with one another as the program is running. Barak calls the software “generic,” in a positive sense, meaning it’s reusable for various purposes. The same basic technology is being used for civilian purposes, including for a vehicle fleet management system in Israel, Brazil, and Argentina, he says. In the Israeli navy, Barak was the commander of C4I—an acronym for command, control, communications, computers, and intelligence. Until the early 1990s, 10 incompatible systems were communicating simple messages at a “lowest common denominator” level, producing fragmented information to the military leadership. He led an effort to knit the systems together to form a complete picture of the battlefield. Business could get even better after Iron Dome’s success in the Gaza conflict. Singapore has already fielded a system, according to Aviation Week. And South Korea has shown interest in the system, Alon Ben-David, an independent defense analyst said. 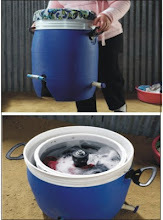 Pedal-powered washing machine costs less than $40 to make.The GiraDora is a portable tub that could make easy-to-use, electricity-free washing affordable for those in poorer communities. 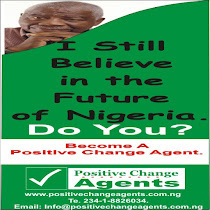 To join Positive Change Agents and make a difference in your community, plese click the banner to visit our website. 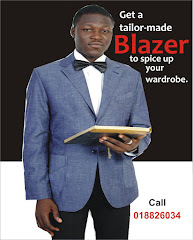 Blog by Victor Emeghe Kalu. Awesome Inc. theme. Powered by Blogger.